270 pages | 15 B/W Illus. 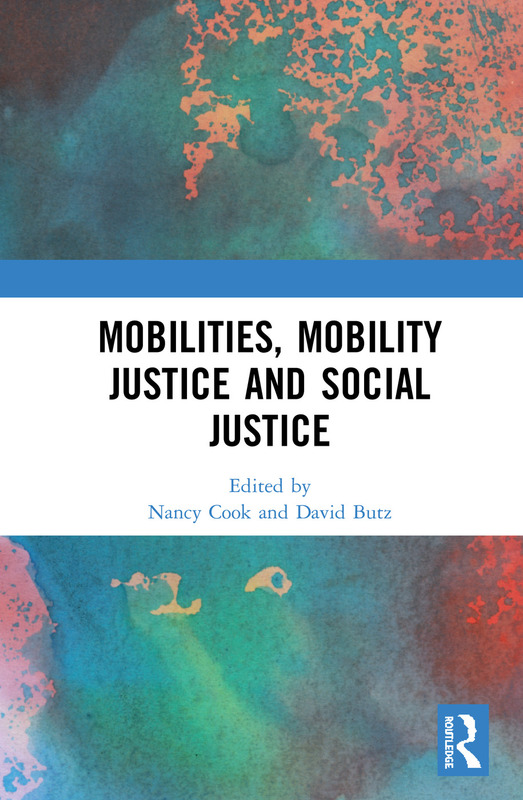 This book offers a cutting-edge overview of mobility, mobility justice and social justice, with contributions from a broad range of leading scholars. Mobility justice is understood as a way to frame the entanglements of power and social exclusion in the mobilities of humans, things, and ideas, as well as to differential and unequal access to movement, and the ability to move. The introductory chapters firmly ground the concept of mobility justice and social justice, with the proceeding chapters covering a range of topics from race, sexuality, ferry justice and aeromobility justice, animal mobilities, design, and food mobilities. Nancy Cook is Associate Professor of Sociology at Brock University, Canada. Her research in northern Pakistan focuses on mobility justice, mobility disaster, and the gendered constitution of mobility. David Butz is Professor of Geography at Brock University, Canada, and Editor-in-Chief of Studies in Social Justice. He studies the social implications of road construction and associated (im)mobilities in rural northern Pakistan.